Is Honeycomb as sweet as it sounds? In a week that saw Android 2.3 announced and available before Christmas on the Google Nexus S, it feels odd writing about Android 3.0 so soon. But Google has shown off the OS on an as-yet-unannounced tablet device created by Motorola. Andy Rubin, Google vice president of engineering, showed off the tablet prototype and a sneak peak at Honeycomb at the All Things Digital conference. Frustratingly, details about the tablet and the OS were scarce, but an (albeit sparse) interface was shown off, as was the lock screen and quick access to Google Maps. The Google Maps on show was the newest version of Google Maps that was announced this week. Rubin notes that the Maps 3D interface shows of the 3D processing power of the device and showed a new finger gesture to get to the 3D view of Maps. Also explained was that the device has no physical buttons at all – no home button, no back button, nothing. All the navigation is done through Honeycomb. In a little dig to the Apple iPad, he says that you can still get a little lost on the iPad with just one button. 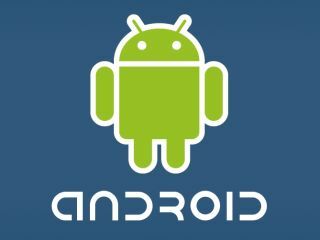 He also teased that many more tablets with Android 3.0 will be on the way.